Bitcoin here. Bitcoin there. But what about Ripple Coin? Learn more about it in this guide. 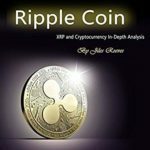 Ripple Coin is a minor cryptocurrency that sometimes gets forgotten in the Bitcoin hype. Can Ripple overtake Bitcoin someday? Can you mine for Ripple Coin too? Is it a good alternative to invest in? Why has its value increased so rapidly? And will it continue to grow?